Mooncake is a Chinese traditional dessert for celebrating Mid-Autumn Festival, one of the most important holidays in the Chinese calendar. The full moon symbolizes harmony and reunion of the family. There are two major styles of mooncakes: Cantonese- and Suzhou-style. 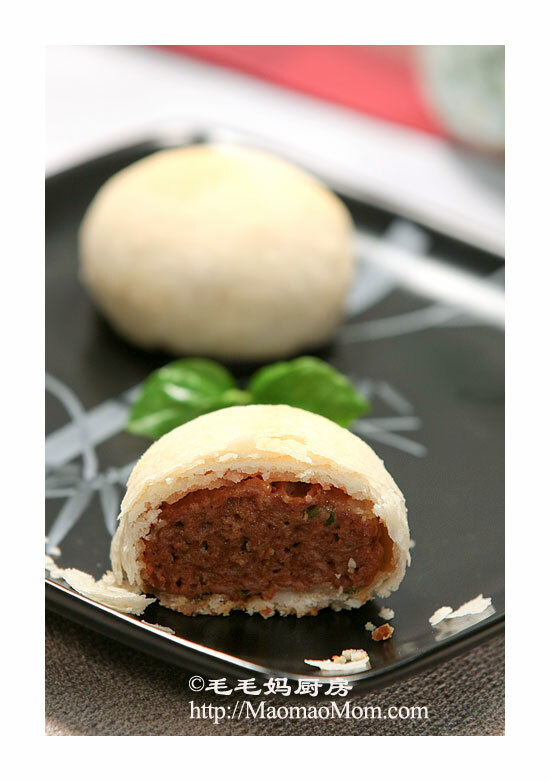 This recipe is SuZhou-style, known for its light, flaky wrap and delicious meat filling. 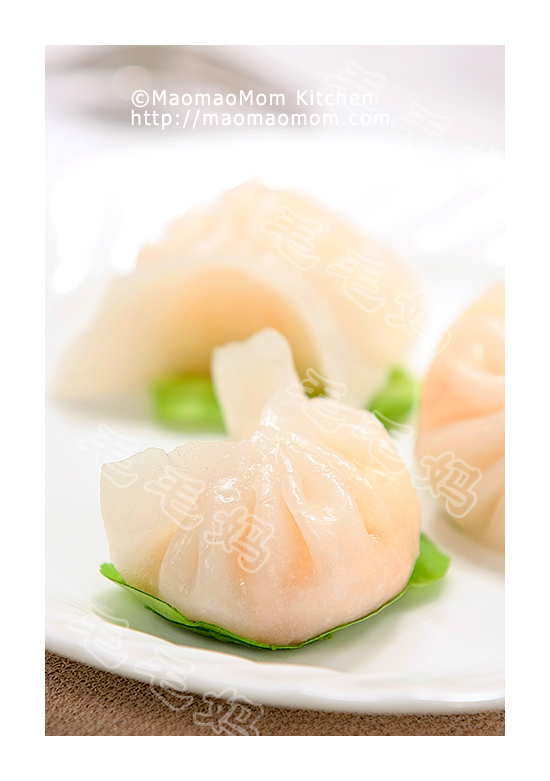 This year’s Mid-Autumn Festival falls on Sept. 19. 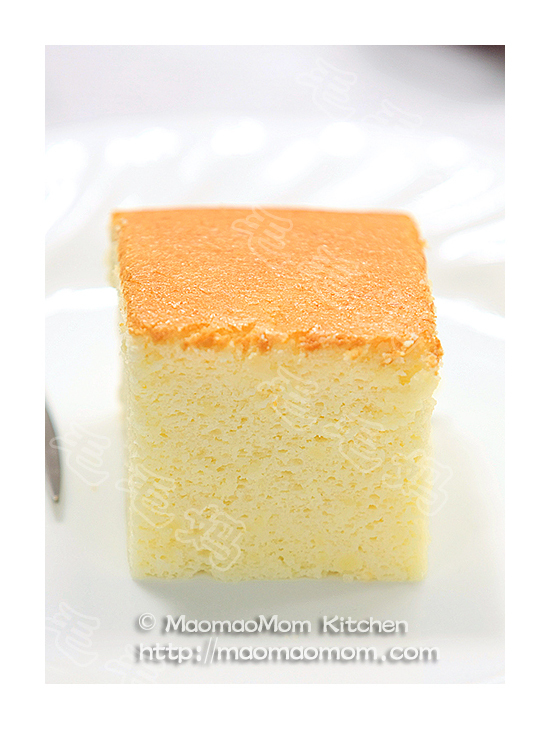 3) ½ cup unsifted cake & pastry flour (74g), 3 tbsp corn oil (42g). 7) Parchment paper and baking sheet. 1: Place flour in Ingredient 1) in a container and add diced lard (Picture 1). Work lard into flour using your fingers or a pastry blender until the mixture becomes crumbly (Picture 2). Add Ingredient 2) water and combine them with a fork. Transfer to a floured surface and knead a few times until form smooth dough (Picture 2). Cover with plastic wrap and let it rest for 15 minutes. 2: Combine all ingredients of Ingredient 3) in a small container (Picture 3). Mix well with a spoon (Picture 6), then cover and set aside. 3: Combine all ingredients of Ingredient 4) to 6) in a bowl (Picture 5). Stir in one direction with a pair of chopsticks for 3 minutes, until the mixture is sticky. Set aside. 5: Finally roll the dough out into 3 mm thick rectangle. Fold from bottom to top to form a slender roll (Pictures 11-12). Cut 12 equation portions (Pictures 13). 6: Press down each dough, push in four corners and roll out into a 10 cm circle. Place 1 tbsp meat filling on the center (Picture 14). Carefully work the dough up to cover the filling and seal on top (Picture 15). Place it upside down on parchment paper lined baking sheet. Repeat for the remaining 11 portions. 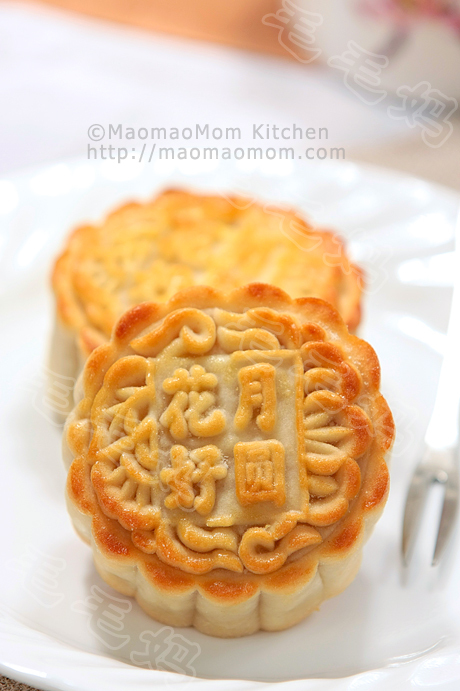 7: Preheat oven to 400F/205C, bake moon cakes at 400F/205C for 20 minutes, cool before serving.